This agapanthus bloom has definitely seen better days, but I liked the purple/violet color against the green background. One of the best images I've ever seen of an agapanthus! 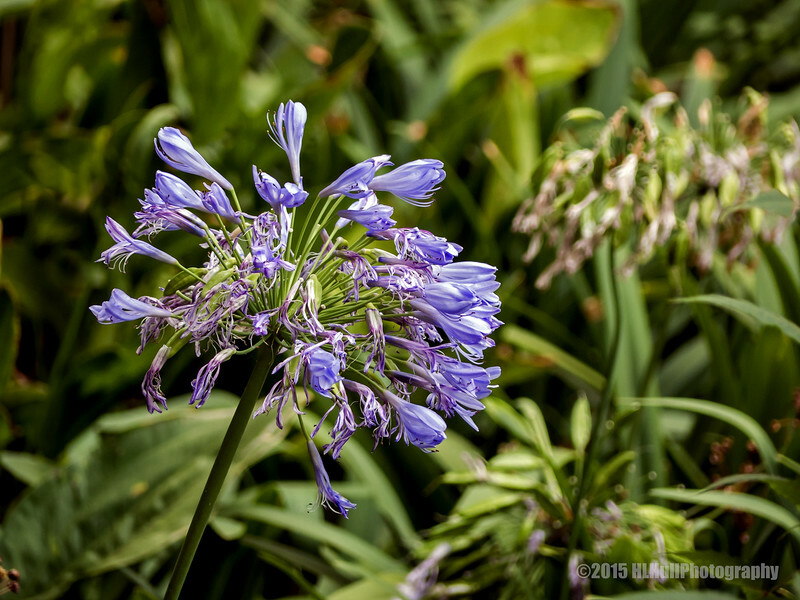 Agapanthus flowers (aka "Lily of the Nile" ) are so photogenic! What a pretty purple color and a great shot, too! this is fabulous. Good composition and my favorite color.